Today's album is playing quietly in the background and I'm so pleased I rediscovered it. It's been a long, long time and I forgot I had it. 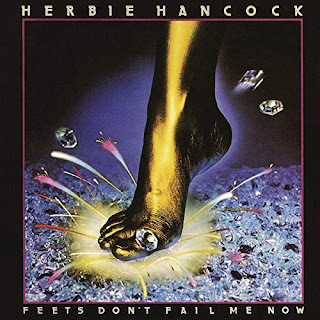 Prompted by the fantastic first single from it, You Bet Your Love released this time in 1979, I grabbed the album Feets Don't Fail Me Now by the amazing Herbie Hancock. And I'm glad I did because I didn't really know how much I loved the jazz / funk / electronic / disco mash-up until I really listened to this album. Herbie's CV reads like a masterclass in how to be a musician - having accumulated some twenty-something album releases prior to this one and many to critical acclaim, he was already a seasoned recording artist and performer. His musical associations and collaborations leave the reader open jawed and wondering why he was never in headlines much as he is so worshipped by his peers. This discussion deserves a stack of his albums, a free afternoon and evening and much whisky in order to enjoy the experience properly, so I'll move on. Herbie, essentially an instrumentalist, never considered himself a "vocalist", or at least it wasn't necessarily the focus of what he was doing and he started experimenting with the use of the vocoder in 1978 before it became trendy (or, in some cases, essential). I've banged on before about my infatuation with a good bass line and my undying worship of Bernard Edwards and here we have bass, melody and rhythm in plentiful, glorious supply. No need for club remixes on this album (although there were a few) as each track is presented in its full length version. Kicking off with You Bet Your Love there's melody and a hook that's so obvious in the chorus but it keeps bouncing you through to the "better bet, better betcha love, better betcha love on me" phrasing before and after the chorus and in-between the verses. OK so the one track on this album that lets it down is the token slow dance and no, I don't like it. I don't see the point! It annoys me - put another track in of the same quality as the others. The other tracks vary in pace and rhythm going from the solid disco feel on Tell Everybody with a long drum, bass and synth drum instrumental to the slow rhythmic funk of Honey From the Jar to the boppy and repetitive Knee Jerk final track it keeps you entertained. Actually, funny thing, the first 2 mins of Tell Everybody was included on an hour long Disco Mix Club (DMC) not for release mix of 1979 disco tracks by the legendary DJ Alan Coulthard and had the Donna Summer "Bad Girls" refrain of "toot-toot-heyyyyyy-beep-beep" overlaid on top of it. 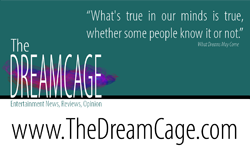 My head is full of mince. This album really delights me as now in my mid 50s, more associations and musical memories are evoked when I listen to this album - George Benson being a similar culprit for helping me get to love this genre and I hope you'll like it too. Just skip track 2.